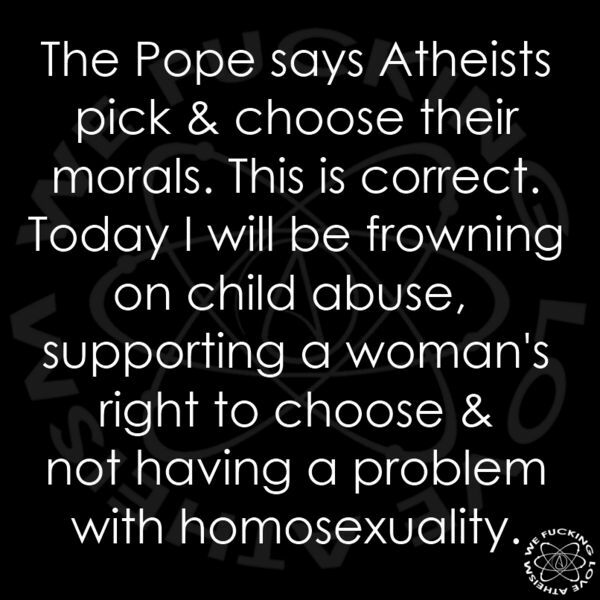 I agree that this pope is still stuck in the dogma of the church’s rules. What gets me,having been raised catholic, is that much of what they preach isn’t even in the bible On the other hand, this pope is a huge improvement over the last few popes. The reasons for being an atheist are just a small part of why I left the religion.